Mahalos to Kyle for putting the moment together and Surfer Joe for the stoked intro! And of course, the entire Ohana of Honolulu Museum & Doris Duke Theater for giving us the 10th Annual Honolulu Surf Film Festival. 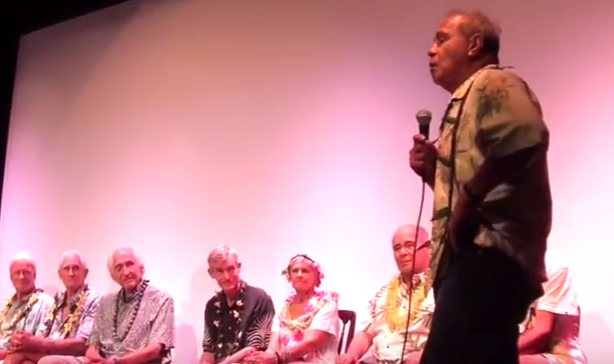 Closing night at the 10th Honolulu Surf Film Festival had a very exciting post film talk by Clyde Aikau. He brought photos and gave an animated play by play of his personal experience at the 2016 Quiksilver Eddie Aikau Big Wave Challenge at Waimea Bay. 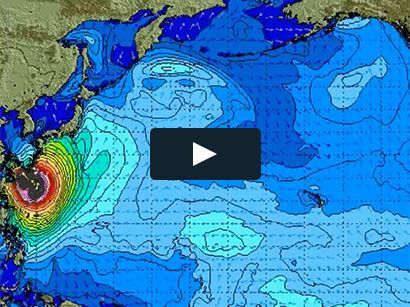 As we all know, this was likely the biggest rideable day that the Eddie has ever been contested. You didn’t have to be there to enjoy this talk. Here it is on video.